Air Fryer Vs Pressure Cooker – Which Should I Buy? Are Air Fryers Worth It? Air fryers are the latest kitchen craze. 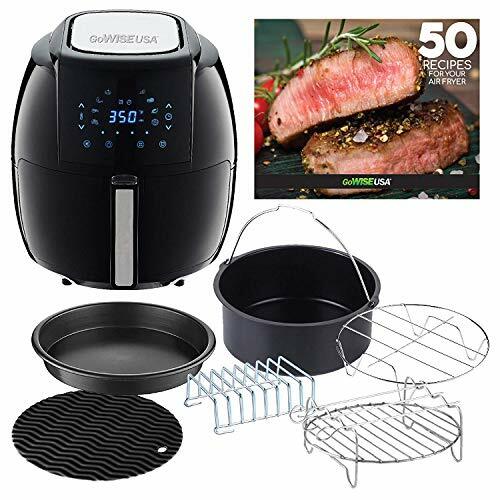 They are the as-seen-on-TV powerhouse, and perhaps you already adore your own air fryer or are considering the purchase. You may wonder, however, how this new appliance stacks up to an old kitchen standby – the pressure cooker. This quick-cooking appliance has been around for a long time – the first pressure cooker, then called a “steam digester,” was invented by the French physicist Denis Papin in 1679. The first home-use pressure cookers hit the market in 1938, and they have since evolved into electric stand-alone appliances. Despite design changes, the purpose of the pressure cooker has remained the same – to cook food more quickly. Faster cooking times is one of the key features of the air fryer as well. How do air fryers and modern pressure cookers compare in terms of performance, price, and other factors? We’ve compiled the following comparisons so that you can get back to the kitchen even faster. Air Fryers - How Do They Work? Pressure Cookers - How Do They Work? Can You Air Fry in a Pressure Cooker? Which Is Better - A Pressure Cooker or an Air Fryer? Air Fryers – How Do They Work? Air fryers are versatile kitchen appliances. They use one or more internal heating elements to superheat the air. Natural convection currents are then assisted by fans to circulate the heat evenly around the food. Air fryers reduce cooking times by increasing rates of heat transfer between the air and the food. Their hallmark is the ability to simulate deep frying by browning foods such as French fries or frozen snacks, resulting in a crisp exterior and moist, soft interior. Air fryers can also be used to bake, sauté, rotisserie, broil, grill, and more. Pressure Cookers – How Do They Work? Pressure cooking involves cooking food along with a liquid – typically water or broth – inside a sealed container. When the liquid boils, steam is not able to escape as with standard cooking methods, so the pressure inside the container builds. This, in turn, causes internal temperatures to rise – in fact, the increased pressure actually raises the boiling point of water. This results in cooking the food more quickly than other methods, such as boiling on the stovetop. After each use, the pressure inside the pressure cooker must be released slowly before opening. Some pressure cookers are “manual,” meaning they are placed on the stovetop heating element. The pressure gauge must be carefully observed, and temperature and pressure regulated using the stovetop element’s dial or by removing the pressure cooker from the heat source. A few small manual pressure cookers are made of microwave safe materials and use the microwave oven as their heat source. We’ll mention these briefly, but our focus will be on the manual pressure cooker’s modern cousin. Some modern pressure cookers are designed to be multi functional appliances, and are thus called “multicookers.” These pressure cookers can be used as a rice cooker, steamer, yogurt maker, warmer, and slow cooker, among other things. The simple answer to this question is, no, you cannot air fry in a pressure cooker. Why not? Pressure cookers utilize a moist heat, as opposed to the dry heat of the air fryer. Moist heat cannot facilitate the Maillard reaction, which produces crispy food. You can, however, cook in an air fryer almost any dish that you would prepare in a pressure cooker. You’re a smart shopper. If you are considering the purchase of either of these appliances, you no doubt want to have all the facts. Therefore, we’ve compiled the following comparisons so you don’t have to. We’ll examine how air fryers and pressure cookers stack up in terms of space, performance, pricing, cleanup, and ease of use. Air fryers and pressure cookers operate on opposing principles – that of wet and dry heat. 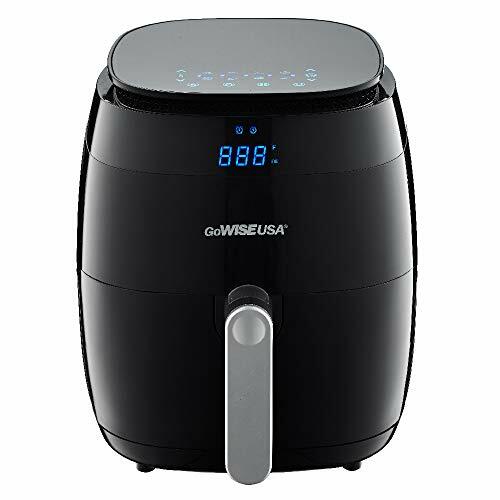 Air fryers utilize a dry heat – superheated air circulated by fans. Pressure cookers use a wet heat, raising temperatures via the pressure produced when liquids are boiled inside a closed system. Both methods result in faster cooking times due to increased heat exchange. 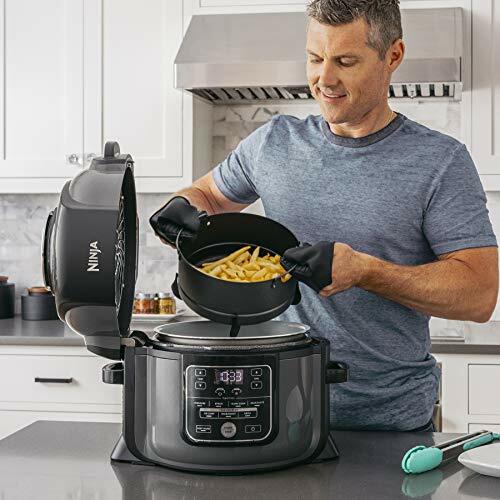 At only 4 inches tall and 8 inches in diameter, the smallest microwave safe manual pressure cookers outsize even the the compact Dash air fryer, which is 11.5 inches tall with a footprint of 10 inches by 8 inches. When considering the standard manual or electric pressure cookers, you’ll find sizes ranging from 12 to 20 square inches. This is similar to the height and footprint of most air fryers. Winner: If storage space in a small apartment is your primary concern, the smallest manual pressure cookers are the clear winner. Overall, however, considerations of size and space result in a tie between pressure cookers and air fryers. Almost any food that can be steamed, boiled, or prepared on a stovetop can be prepared more quickly in a pressure cooker. Pressure cookers can also be used to simulate long braising, also called pot roasting. This is a cooking method in which foods, especially meats, are seared at high temperatures, then simmered for long periods in a covered pot along with liquid. Multicooker style pressure cookers are also valuable in preparing yogurt, soups, rice, eggs, keeping food warm, and more. Air fryers are also known for their versatility. In addition to air frying, they can be used to bake, grill, sauté, or reheat food. Some models also allow for rotisserie style cooking. If you’re looking to save time, air fryers can reduce cooking times by 20 percent or more; pressure cookers by 70 percent or more. Winner: This category is a difficult one in which to assign a clear winner. If you want crispy French fries, go with the air fryer. But for an abundant variety of other cooking styles, and very rapid turn around, our choice is the pressure cooker. If you are counting your pennies, microwavable pressure cookers are available for less than ten U.S. dollars, and stovetop models for under 30 dollars. However, we’re talking programmable, electric kitchen appliances here. On that note, air fryers and pressure cookers are fairly comparable. Both products start at around 60 dollars for a basic or small model, and range into the hundreds of dollars for advanced models. Winner: In terms of price, we call it a tie between the air fryer and the pressure cooker. “Old school” pressure cookers may have been tedious to monitor, use, and maintain, but not so with modern electric models. Modern pressure and multi cookers are equipped with digital pressure, temperature, and timer settings, as well as presets for commonly prepared dishes. This rivals the air fryer, which sports either manual or digital controls for time, temperature, and presets. In the past, some pressure cookers were known to explode when used or opened incorrectly, potentially causing severe burns. Today, multiple safety features and failsafes prevent the cooker from overpressurizing or from being opened when pressurized, which could release hot food and steam. In fact, most electric pressure cookers won’t pressurize at all if the lid and other features are not properly secured. Winner: Simple controls and presets make using either of these appliances a breeze. Even a kid could do it – with proper adult supervision, of course. So, we’re calling this one a tie between the air fryer and the pressure cooker. The internal cooking pot and suspension baskets of most electric pressure cookers are dishwasher safe, as is the gasket that provides a secure, airtight seal. However, some models recommend that the lid be hand washed and not submerged in water. The appliance itself can be unplugged and cleaned with a damp cloth. Special care may also need to be taken with the gasket. Cracked or dry gaskets will not provide a proper seal and must be replaced. Some manufacturers recommend replacing the gasket each year, and provide one replacement gasket with the purchase of the product. Air fryers are similarly equipped with removable, dishwasher safe parts. Winner: It was almost a tie, but due to the gasket and lid issues, we’re going to grant the Ease of Cleanup award to the air fryer. Air frying reduces cooking times by 20 percent or more when compared to a conventional oven, reducing energy costs. 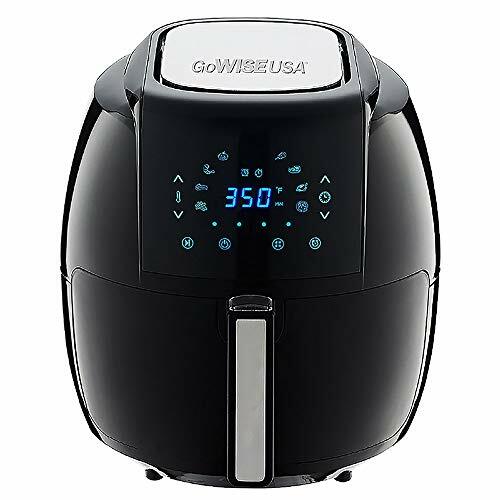 The air fryer is perfect for a wide variety of foods, including meats, vegetables, frozen snacks, sauces, sandwiches, small pizzas, baked goods, and desserts. The air fryer also does something few other appliances can – it replicates the taste and texture of deep frying with little or no oil. This equates to health benefits for those counting calories or pursuing a heart-healthy diet. In theory, pressure cookers may cut cooking times by as much as 75 percent, significantly reducing energy costs when compared with boiling or baking. This is especially helpful for food items that take a long time using traditional cooking methods, such as beans or rice. Less water is also needed. In addition to cooking meats, soups, stews, and basically anything else cooked with steam or boiling liquid, most pressure cookers can be used to assist in safely home canning fruits, vegetables, and meats. Multi cooker style pressure cookers often have settings for rice, yogurt, warming, and more. 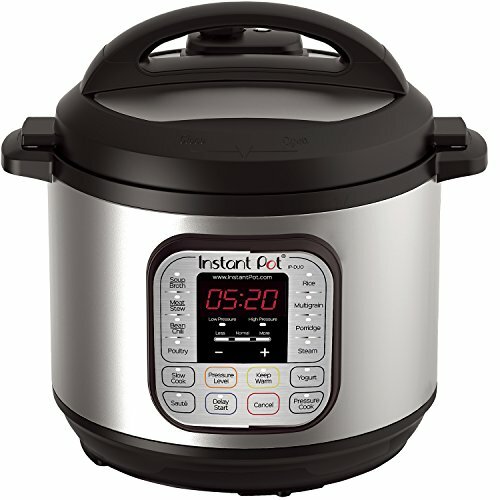 Pressure cookers are lauded for their ability to kill harmful bacteria that might survive other cooking methods, especially those cookers deemed “pressure canners.” In fact, the autoclave, used for decades in sanitizing medical equipment, is simply a more technical version of the average pressure cooker. The following are comments posted publicly to Facebook by owners of both pressure cookers and air fryers. Which of these two appliances do real owners love most? Find out below. Which Is Better – A Pressure Cooker or an Air Fryer? If you have to pick just one, we recommend the pressure cooker. Why? In our comparisons above, the pressure cooker rivaled or outperformed the air fryer on almost all counts. While the air fryer is versatile, pressure cookers – especially multi cookers – are even more so. If money is no object, however, and if you have the counter space to facilitate it, we recommend using both of these items in tandem. You may find that creating healthy meals at home is quicker and easier than ever with both a pressure cooker and an air fryer at your disposal. © 2018 Air Cookers. All rights reserved. Privacy & Terms. Feel free to contact us and find out about advertising.